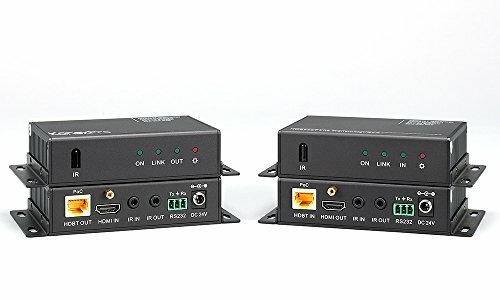 The KanexPro HDBASE70POE is a Transmitter-Receiver set made to extend Ultra HD 4K, digital audio, wide-band IR and power over Ethernet (PoE) over a cost effective cat6a cable. It also supports computer resolutions up to 1920x1200, HD1080P/60 with Deep Color. This HDCP compliant extender routes distances up to 200 feet using HD BaseT Lite technology. As an added benefit to the systems integrator - the extender provides remote power from either side TX or Rx over the twisted pair connection, eliminating the need for a separate power supply at the remote unit. Ideal for use in digital signage applications, healthcare AV, control rooms, educational facilities, airports, commanding centers and home theater.